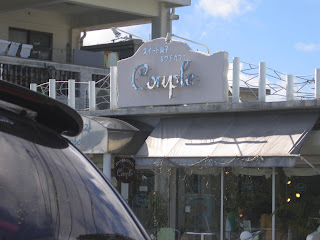 Okinawans love American English, and like to name their businesses after American words. 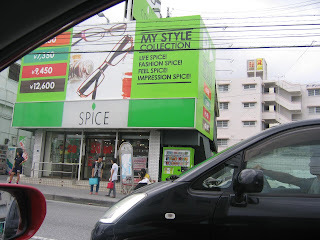 Some made us smile, like this eyeglass center called Spice. What are small business names that rely on unlikely words? 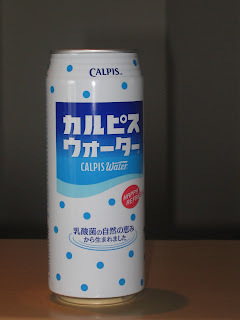 Some of the translations, though, are a little funny. This map of a tourist attraction is one good example. 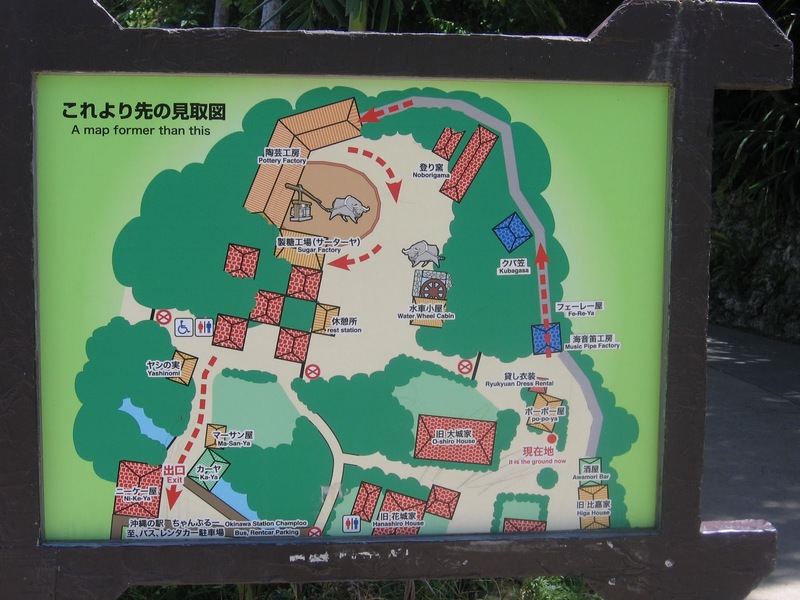 In the top left hand corner, the English translation is "A map former than this." If you have any ideas about the reason, let me know. 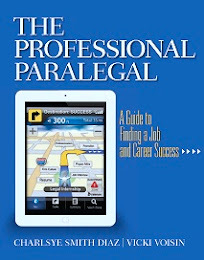 Now, click on the map and look for the red dot that typically shows "You are here." It's in the lower right quadrant. Instead of "You are here," it says, "It is the ground now." That one, I kind of understood. 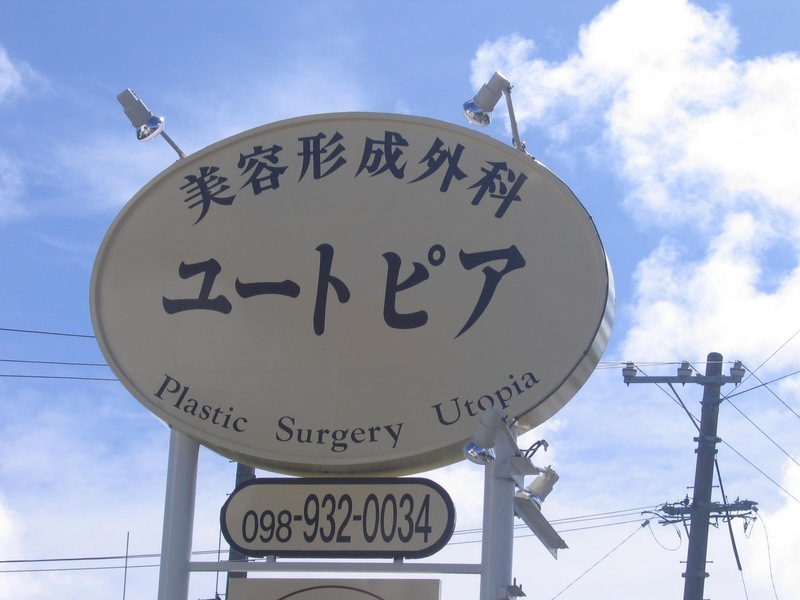 This plastic surgery center gets right to the point: Plastic Surgery Utopia. 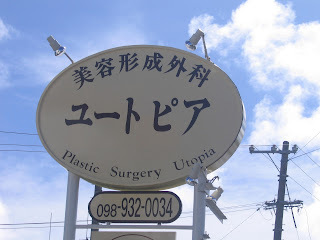 This is definitely my choice for plastic surgery because not only do they use English, but use a word that I want in plastic surgery--perfection. 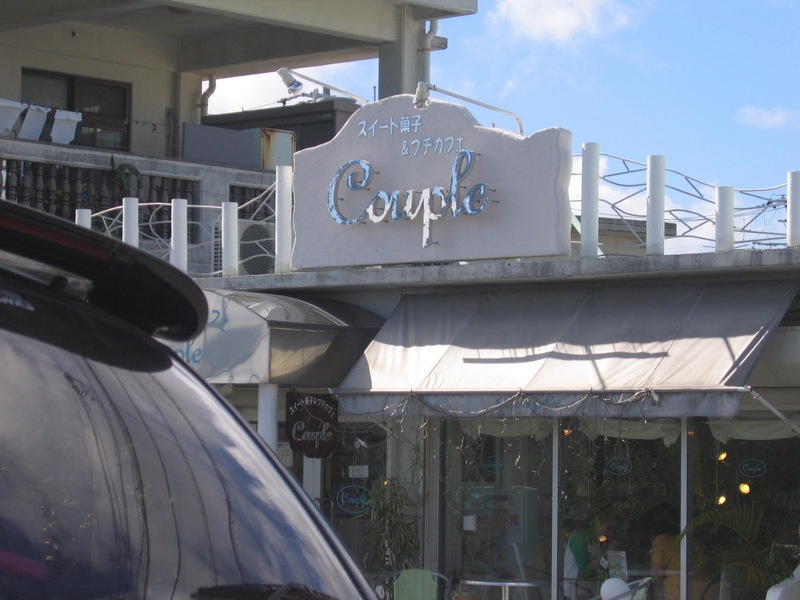 I want to have coffee at this shop named "Couples," which is not a hot date spot, but a regular coffee shop. With the twinkle lights and the cute sign, the ambiance has to be terrific. 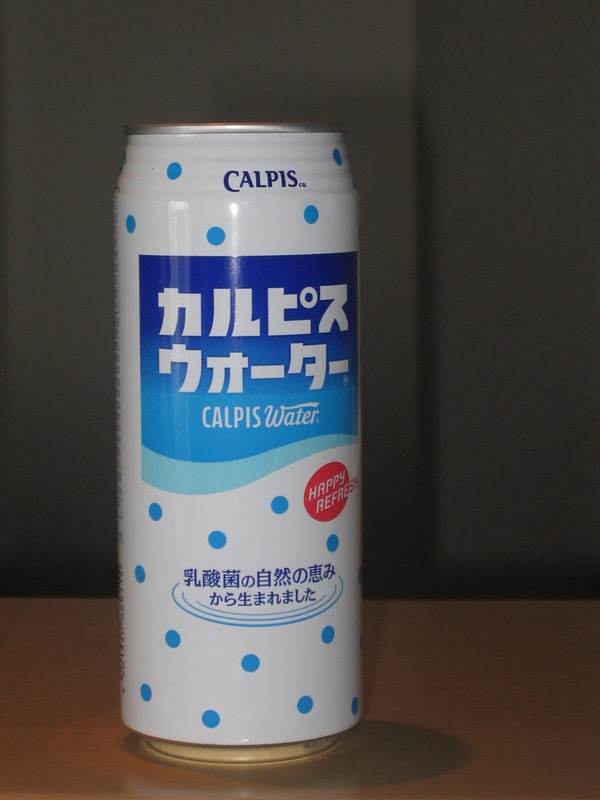 The one beverage, I can't quite bring myself to ask for, however, is this one...look closely at the English word at the top and say it out loud. Could you order it?